Oftentimes, people will talk about all the things that they want to accomplish in life. I want to own a home. I need to finish my requirements for my degree. In some cases, what you don’t hear is how they plan to achieve these goals. See, some people want things out of life, but they don’t want to do the necessary work. Getting a promotion is great, but understand that you have to put in the work to get that promotion. Buying a home requires budgeting and saving. Earning a degree requires that you pass the required coursework. All of these examples have one thing in common…SACRIFICE. 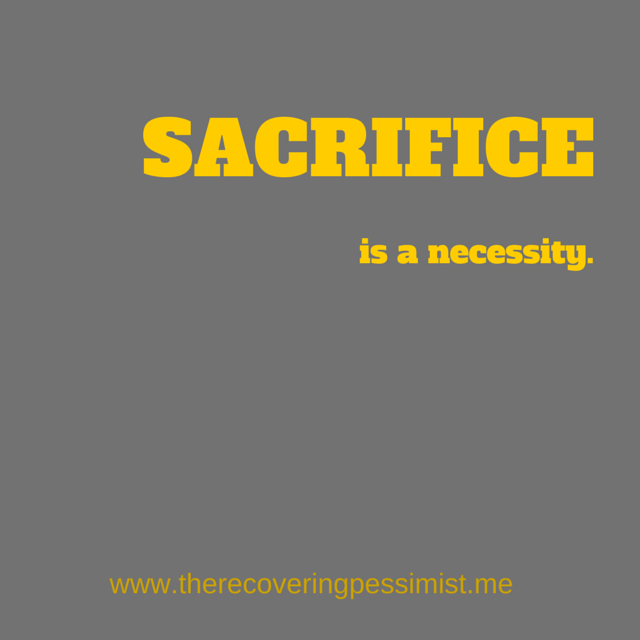 Sacrifice is a necessity. Working overtime for that promotion. Forgoing a vacation to save for the down payment on the home. Not going out with friends so you can finish that paper on time. All of these examples required some sort of sacrifice. Rarely is anything in life handed just given to you. In most cases, you work for them and while working for them, you’ll find that you will sacrifice something to get it. In order to get, you have to give, or get nothing. The choice is yours to make.